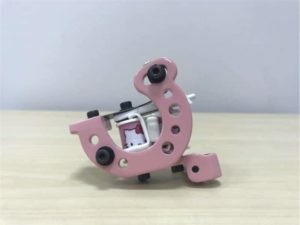 You need a perfect tattoo machine to make really cool tattooes? If you’re looking for the highest-quality device for the lowest prices, here the right one! You won’t be disappointed by your selection. 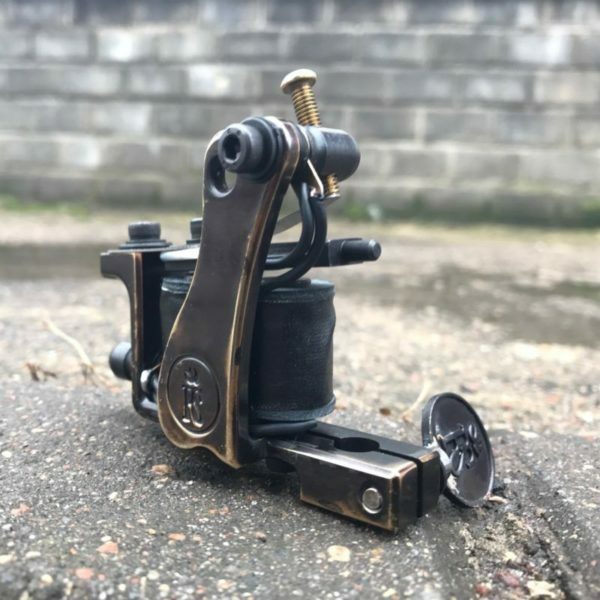 This liner tattoo machine made of a single bronze metal piece with blued steel hardware. 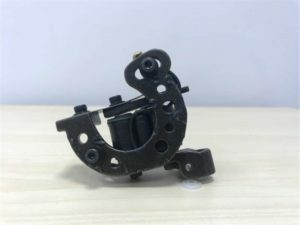 The machine has classic design. It has a medium stroke and prefferes 3-7RL needles. Its weight is 180gr so it’s easy to work with it for a long time. And it runs 160 hz at 6,6 volt-unloaded. Built with a 8 wrap, top-quality 26 mm coils this tattoo machine is in a league of its own. Called a perfect fighting machine, it was used by Freddy Negrete, a well-known artist. The machine is hand made by Big 5 and Rupert in California. So one of this machines can be seen being used on the famous tv show, which name is Tattoo Rescue.